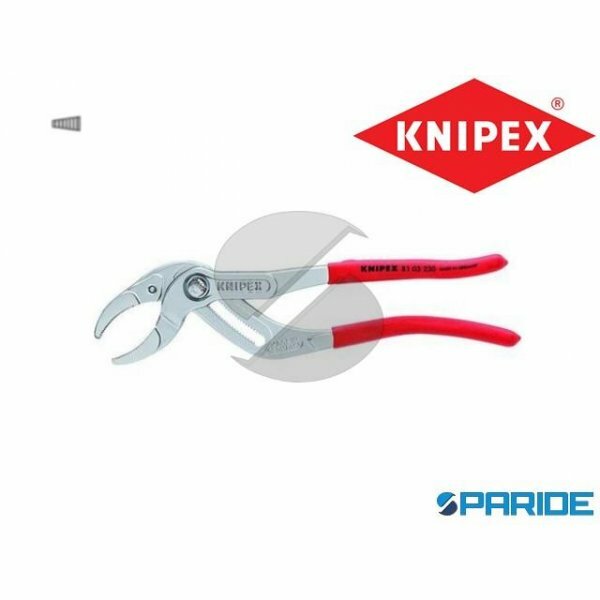 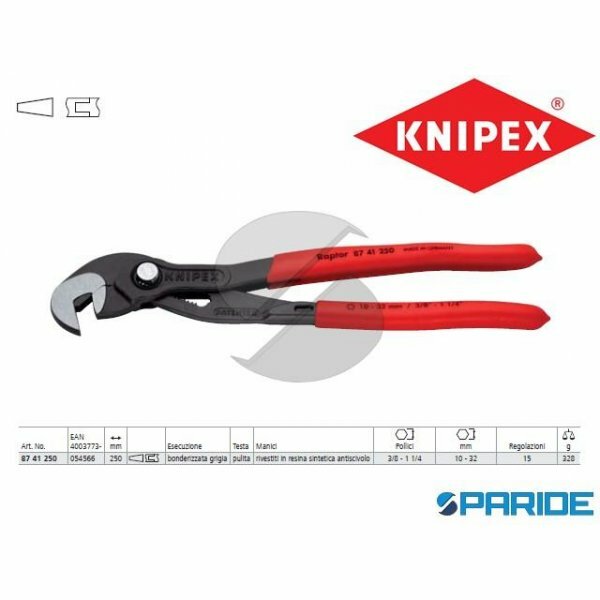 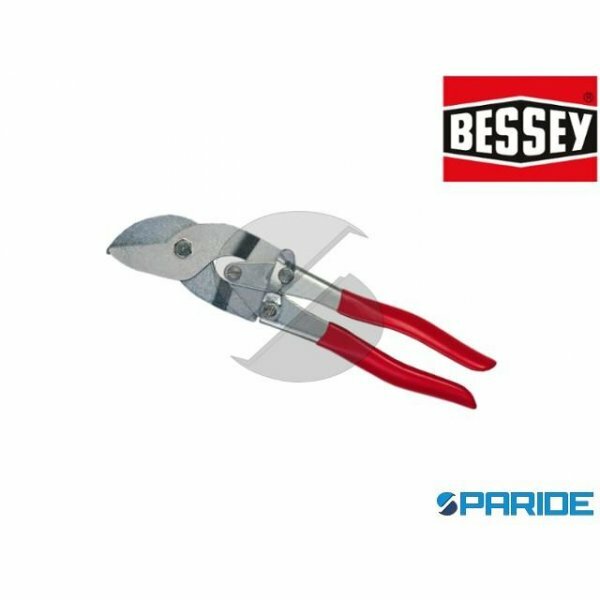 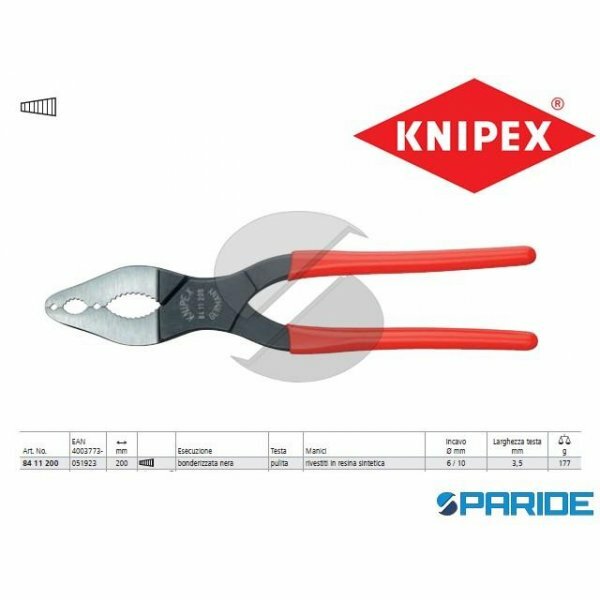 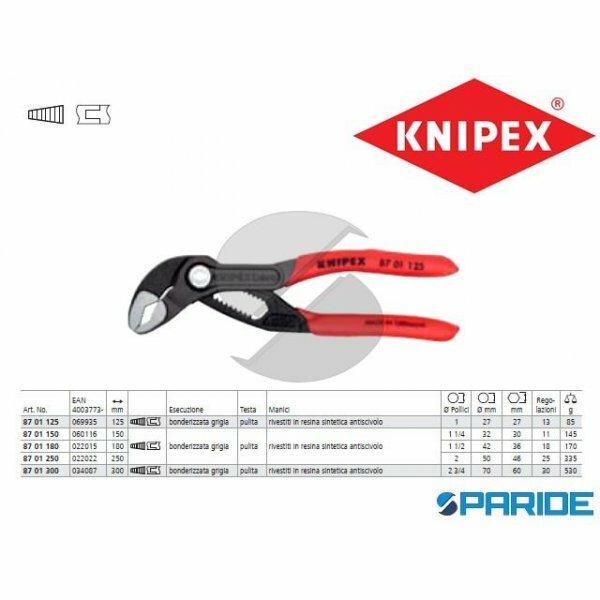 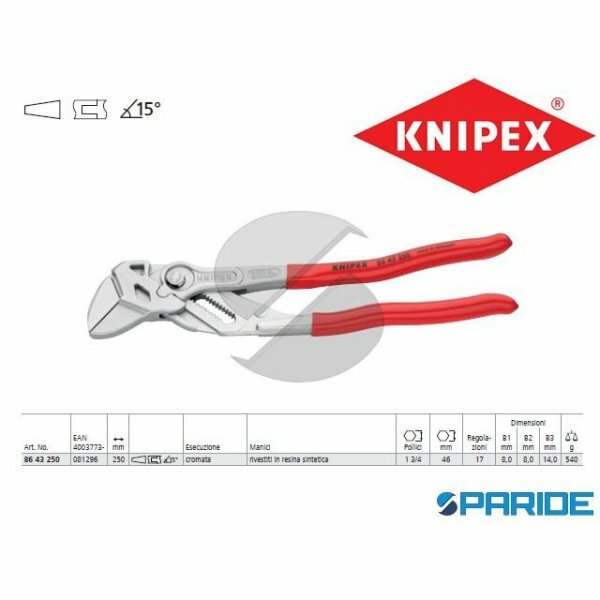 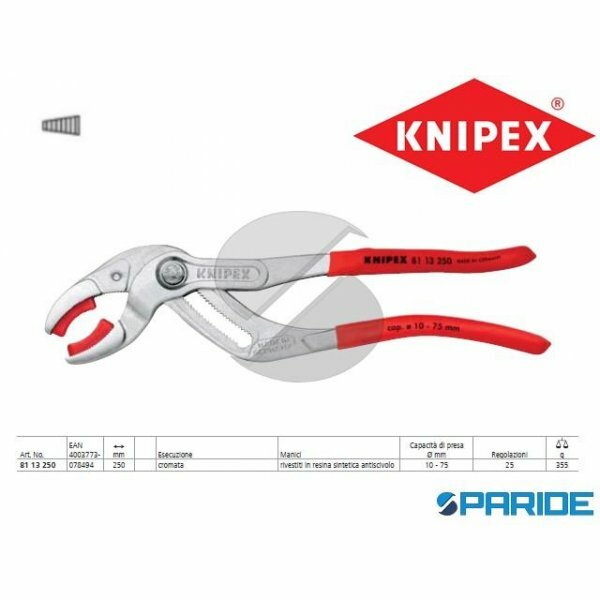 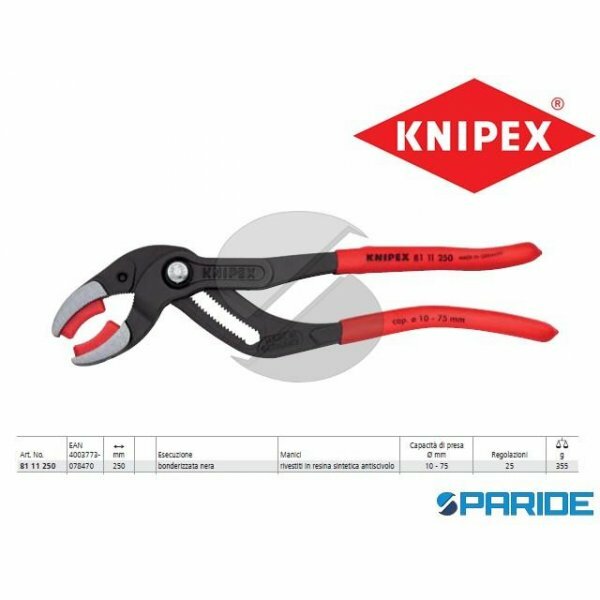 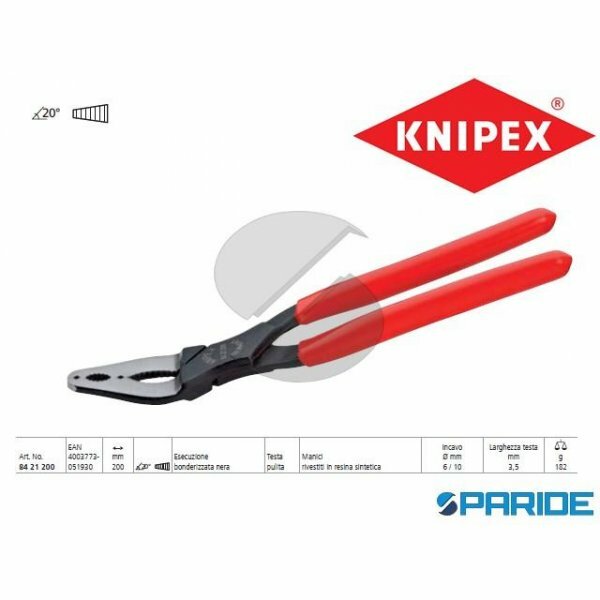 PINZA CHIAVE 86 03 300 REGOLABILE KNIPEX. 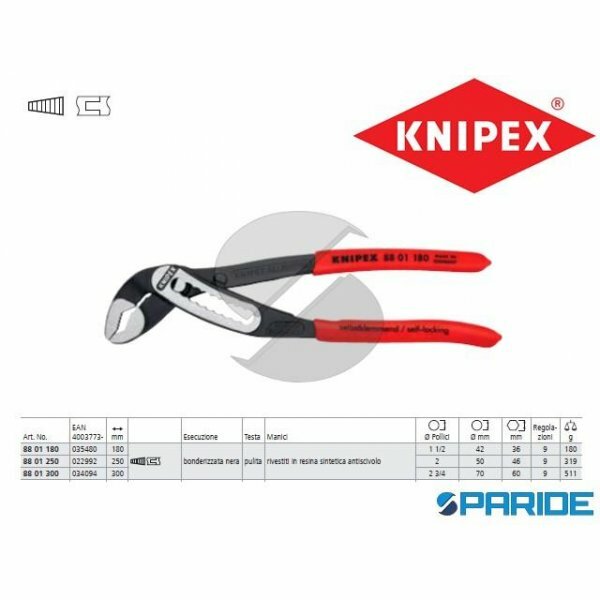 PINZA CROMATA CON MANICI RIVESTITI IN RESINA SINTETICA. 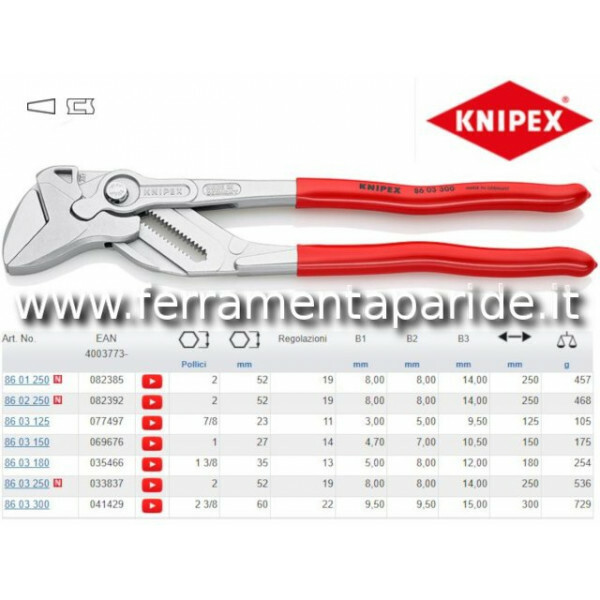 SOSTITUISCE UN INTERO ASSORTIMENTO DI CHIAVI METRICHE E IN POLLICI; BECCHI PIATTI ..